Electronic copies of all CFSEI Technical Notes and Research Notes. Emailed electronic versions of all new Technical Notes, hot off the presses and sent directly to your inbox. Framework Online newsletter, which highlights current research trends and industry news and events. Access to Members Only section of the CFSEI Web site … filled with vast industry resources and publications for easy download. Your name and company logo in the CFSEI "Engineer Finder” directory: an easy way for clients to find you. 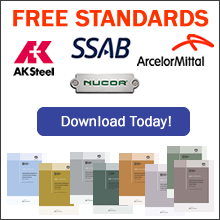 Member discounts on American Iron and Steel Institute (AISI) and SFA/CFSEI documents, publications, and seminars: up to 25% off most items, including code-referenced standards and design guides. Practicing engineers are welcome to join in this category, as well as other professionals, including architects, code officials/inspectors and other designers. Undergraduate and graduate students are welcome to join CFSEI free of charge. Your status will be upgraded to the Professional Membership category upon graduation. This category extends CFSEI membership privileges to employees within an engineering firm. Manufacturer?, Contractor? You can still be involved through a corporate or individual membership with the Steel Framing Alliance – click here for more information.